Went deep in the backcountry april tarpon fishing key largo today. There has been loads of fish in certain spots if you know where to look. We caught 6 out of 13 lunker tarpon, fresh in to eat and fatten up for the spawn. They were biting good, on everything – mullet, ladyfish, and one bite on a crab while catching the ladies! Key largo fishing charter fishing is excellent for the big tarpon right now, if your looking to go just give me a ring or email. 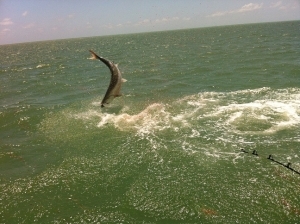 I have evenings available which are excellent for tarpon fishing. Last night we went and caught 2 out of 8 local fish. It could of been 3 caught if you count the one that jumped and slammed on my bow, luckily not got into my boat. 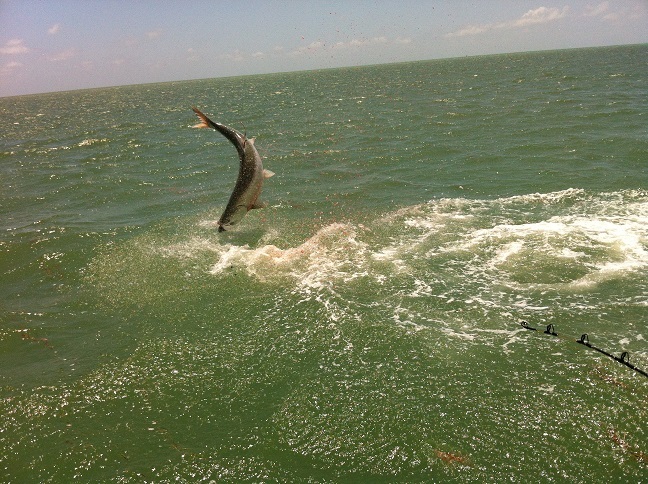 Very exciting action when your fishing for this big key largo tarpon.